Because caravan is far from oil refueling opening, I bought it because selfishness is bad unless long nozzle jug is used. I chose it because it is a fulpra product that loves nebulizer. This review is about item#35114685. It is easy to use in places where the oil inlet is far. Oil flow is slow, so it will take quite a while but spilling around it is reasonable. This review is about item#35114667. Oil change and oil replenishment etc. 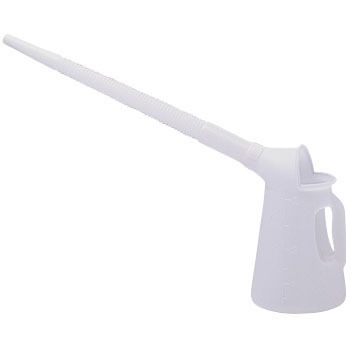 Because the nozzle is long, oil can not spill, it is very easy to use.